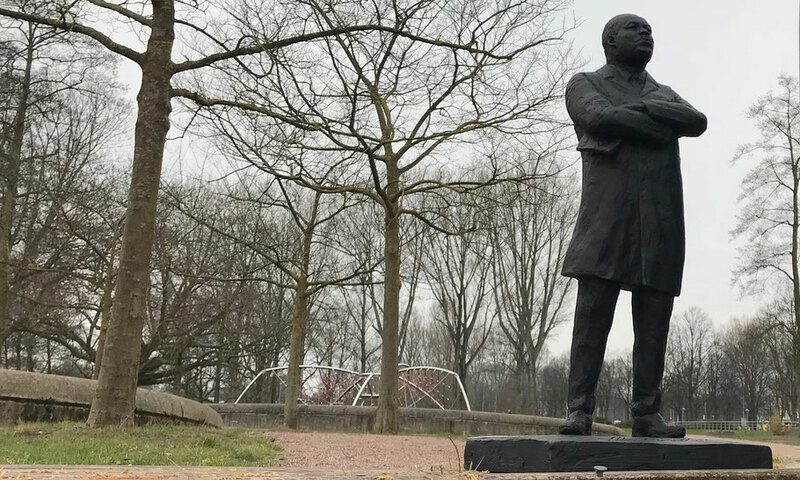 Martin Luther King Park is located at the Amstel River in the south of Amsterdam. Early in the 20th century, city architect J. P. Berlage designed Plan Zuid (Plan South), the neighborhood including green, that was considered to be healthy for citizens. 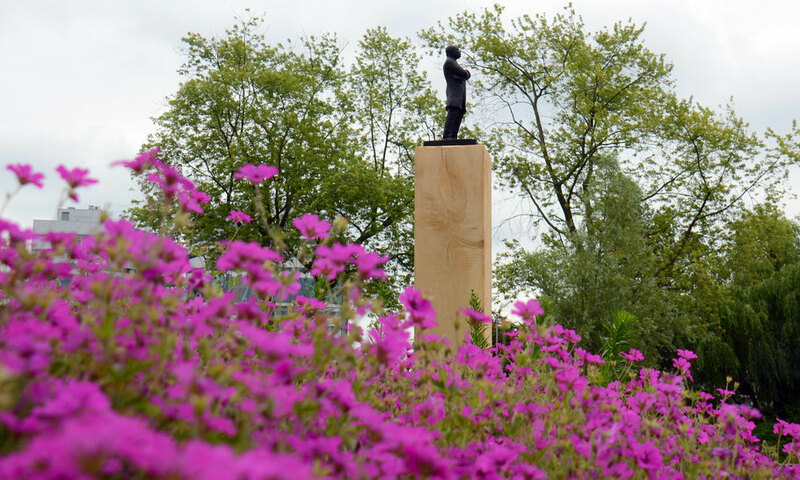 The city park was established in the 30's, as an employment project for people who lost their jobs during the crisis. It openend for public in 1936 and was called Amstelpark in 1949. It was renamed in 1968 to honor Martin Luther King after his assassination. The park is being redesigned in 2018-2019, a lot of new trees are being planted. 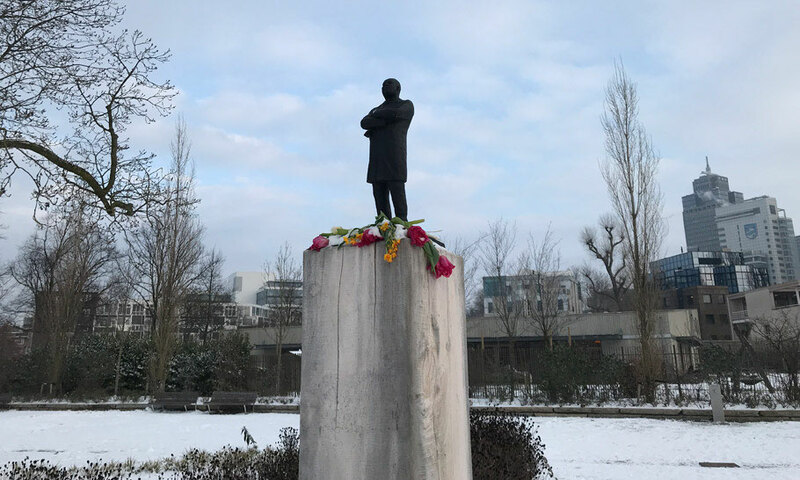 Thanks to the municipality of Amsterdam Zuid and the visitors of the park, the little statue was placed on a pedestal made of City Wood, a tree from Amsterdam. November 2018: after 8 months, still standing strong. 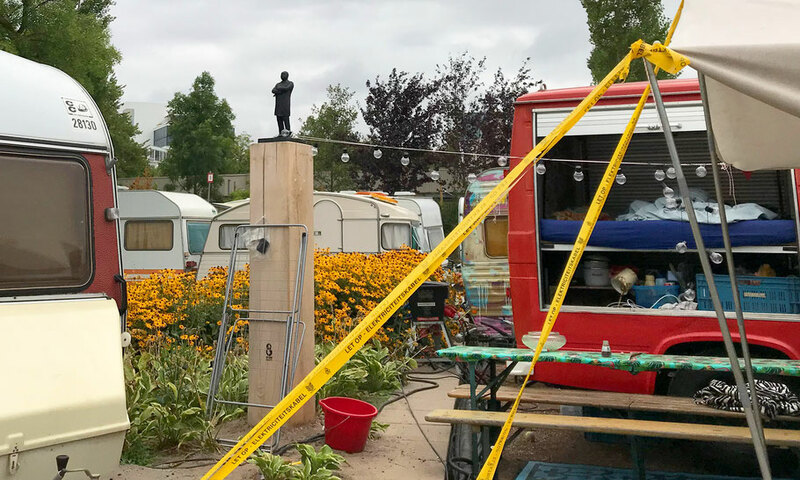 August 2018: surrounded by real caravans at the camping site of De Parade theater festival. Where do we go from here: Chaos or Community? 50 years ago, on April 4, 1968, Dr. Martin Luther King, Jr. was assassinated in Memphis, Tennessee. 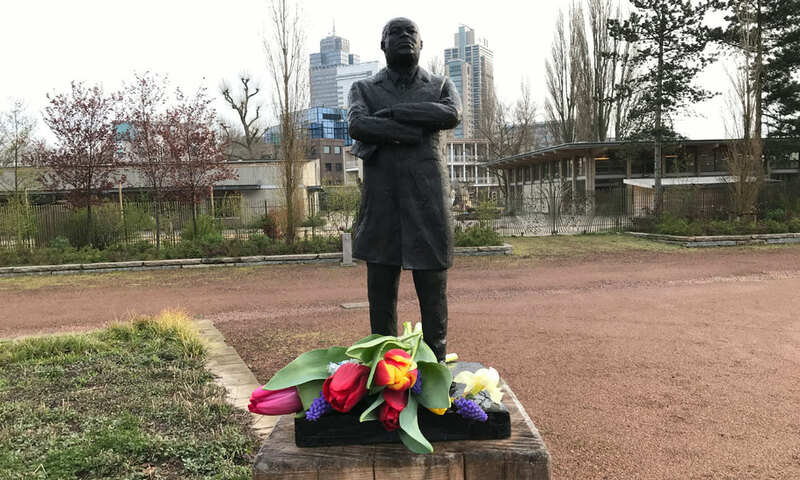 To keep his dream alive, 50 identical statues were placed from Amsterdam to Washington on locations that refer to slavery and places that let us remember how important it is to end racism and fight for equality, regardless of gender, religion and race. History may not be forgotten. 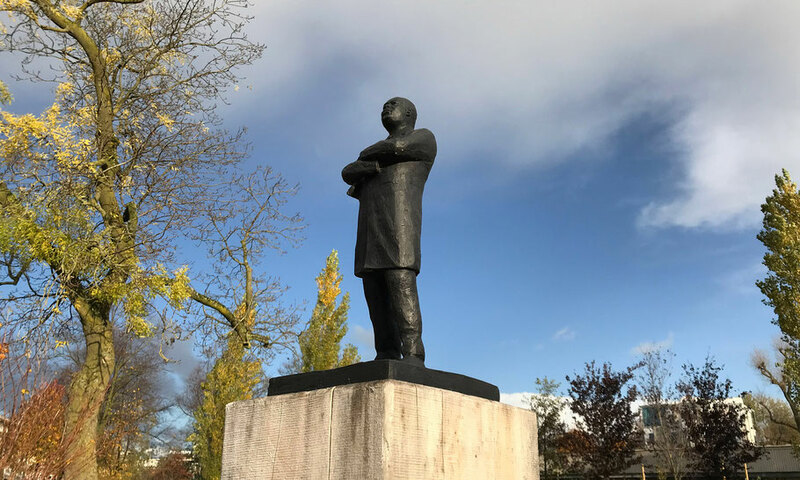 The statues are an ode to Martin Luther King and everybody who continues his nonviolent mission. Keeping teh dream alive. "I have a dream that one day on the red hills of Georgia, the sons of former slaves and the sons of former slave owners will be able to sit together at the table of brotherhood. I have a dream today."